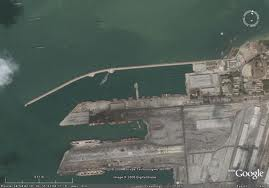 MOSCOW: The large landing ship Novocherkassk of the Russian Black Sea Fleet left the Novorossiysk naval base and is heading for the Syrian port of Tartus, a source from the General Staff of the Russian Armed Forces has told Tass. The Novocherkassk is expected to sail through the Bosphorus and Dardanelles into the Aegean Sea on Monday, December 31. It carries marines and several units of military hardware. The large landing ship, accompanied by a combat ship of the Russian Black Sea Fleet, is expected to arrive at the maintenance base of the Russian Navy in the Syrian port of Tartus in the first week of January, the source said. He reminded the interlocutor that two more large landing ships, the Azov and the Nikolai Filchenkov, sailed through the straits and into the Aegean Sea on December 28 and joined a group of Black Sea Fleet ships. 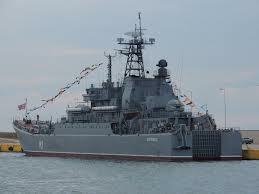 From that area, the Russian landing ships with marines and military hardware on board headed for Tartus accompanied by the guided missile cruiser Moskva. They are expected to arrive in Tartus within the next few days. “Thus, the large landing ship Novocherkassk has become the third landing ship of the Black Sea Fleet that will call at Syria’s Tartus in January,” the source summed up.